Beloved, do you struggle with taking care of yourself? If so, I want to talk to you today about something that’s very personal to me. And very precious. A few days ago, I received my Goals with Grace devotional kit from DaySpring. I loved it right away. It speaks to my heart and resonates with me. But it took me until today to begin using the kit; and when I did, Holy Spirit touched me so powerfully. … taking care of myself. I don’t have low self-esteem. I know I’m worth it. I just struggle with taking the time. And honestly, I struggle with caring. Because I care about a lot of things. I care about God, and about my husband, and about my church, and about my family and friends. I care about you, tremendously. I care about hurting people. But I feel like the world is not going to end if I don’t end up with makeup on, one day or two days or three days. All the other things seem to be more pressing, much of the time. Don’t get me wrong; I usually wear makeup. (Even though I’ve been slacking sometimes, a few days recently.) But this taking-care-of-myself thing goes deeper than that. It’s about looking my best, and even about being healthy, 100% of the time. And on those days when I don’t care all that much, it becomes a problem. It’s a problem because I don’t represent Father well when I don’t care for myself. If I don’t care for my body, which is the temple of the Holy Spirit, and do the best I can with whatever I’ve got (even though I’m not a size 4 and never have been, etc), I fail to give myself the honor that I should give myself as a daughter of the King. Papa is jealous over us, you know. He’s jealous over me, and He’s jealous over you. And He doesn’t want anybody–not even our own selves–to treat us with anything less than the dignity we deserve. 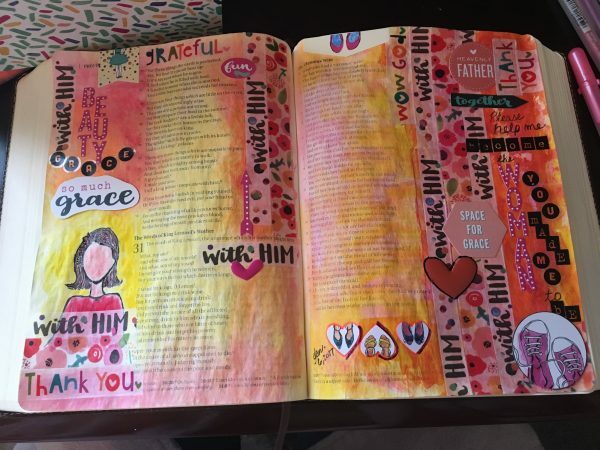 And this Goals with Grace kit was one big, fat, on-time word from God to me about my appearance, and about taking care of myself. Oh, I’m not saying you would have to use it for that, if you get one for your self. The kit itself, although it does lend itself well to this topic, could be used for anything. It really could. 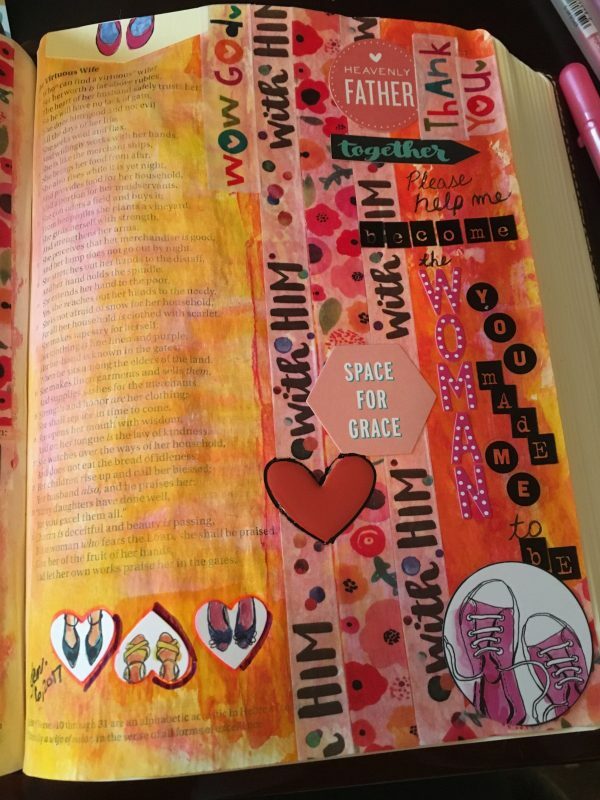 But something about it–its beauty and the shoe stickers and the “with Him” washi tape and the other die-cuts and stickers etc–really spoke to me as a rhema word about my appearance. So I journaled about that today, in Proverbs 31. I went crazy using the Goals kit, but mostly I poured out my heart to Father in worship. Because He loves me, and I’m His baby, and I desire to look and be beautiful inside and out … but I can only do any of the above with Him. If He helps me. I cannot, cannot, cannot do it by myself. See? I told you. This is very transparent, and I was not even sure I’d be able to make myself talk to you about this … but I’m called to live in the public eye, so here you go. This stuff makes me cry. That I can only take care of myself with Papa’s help. That I want to be the woman HE wants me to be, without comparing myself to others. Simply finding the beauty and grace and elegance that He desires for me to have and walk in. That I knew it would be a process, just one step at at time. That I am so thankful for His help. That I will mess up sometimes, but there’s space for grace … so much grace. That I can take care of myself and, yes, actually enjoy it and have fun. And Holy Spirit ministered to me the whole time. … about how He thinks I’m beautiful. About how obsessed He is with each of His babies–you and me both. About how very, very good He is. He loves us so much, beloved. So much. Because it felt like He really did make me confident in a new way that I’ve never felt before. Confident in His love, in His care, in His watchcare over me. Oh, let’s say that again. “You split the sea so I could walk right through it. My fears are drowned in perfect love. You rescued me so I can stand and say, I am a child of God!” (lyrics from No Longer Slaves by Jonathan David Helser). He loves you so much. And it matters to Him how we take care of ourselves. It matters to Him how we live our lives. It matters to God whether we are intentional with our time, our bodies, our maintenance and upkeep or not. This is important to Him, because we’re His kids. And He’s the one that clothes us with strength and dignity. He knows we can’t do it alone. But He is here to help us, because He’s a good, good Father. Listen to the songs below. 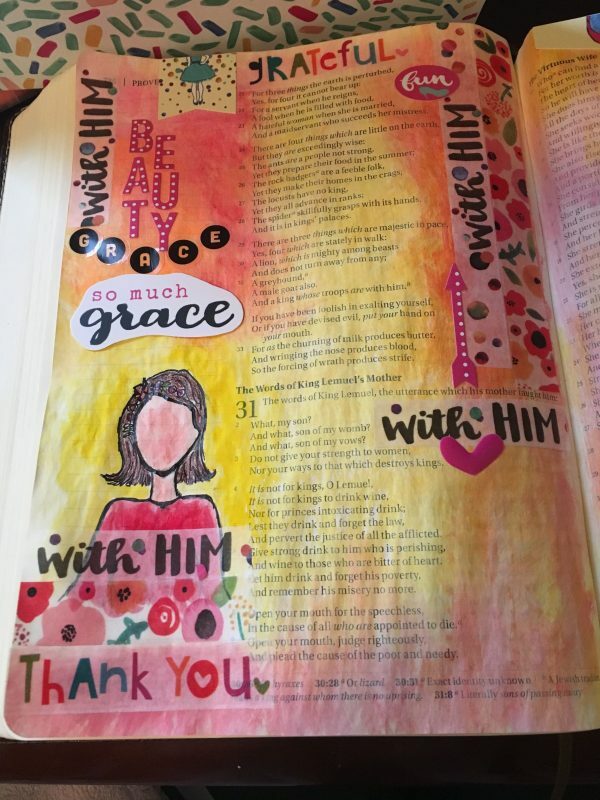 And if you’re a Bible journaler, want to become one, or if you want to use this kit for your vision book, get the Goals with Grace kit (affiliate link). Use it, and ask Papa to minister to you while you do. But whether you want to use this particular kit in your devotions or not, know this today, beloved: His grace is sufficient for you, for His strength is made perfect in weakness. Does this post speak to your heart today? If so, please leave a comment below. I’d love to hear from you. I’m so glad you shared this! Last fall Holy Spirit wrecked me over the same things (even using the No LongerSlaves song with Steffany G!). I had just started learning to “hear” and had taken a class that previous spring on naturally supernatural/hearing God’s voice. They encouraged us to ask Holy Spirit to speak and teach us how He speaks. One day out of the blue I felt like I was going to get something in my order that I didn’t order! (I have an autoship order I get monthly). When my order came sure enough there was a tube of expensive facial wash that I didn’t order! I reviewed the receipt and my order online to make sure I didn’t accidentally order it and I did not. I called to tell them and they recognized their mistake but thanked me for my honesty and told me to keep it. I was so excited to “hear” but I was embarrassed to ask in the class if Holy Spirit would say something like that! So I tossed the product in my closet. In the fall after, I had achieved a certain rank in my direct sales biz and my upline sent me the whole product line which reminded me of the freebie I had received in the previous spring that I never had used. In that moment as I was trying the products out and washing my face in the mirror I felt Holy Spirit touch me so deeply and convict me of the same thing…about taking care of myself. How He wanted me to take care of myself. It was really intimate and really heavy. I did try for awhile to do better caring but have slacked off lately. This really reminded me of that and His desire for it in my life! Thank you for being so vulnerable! I enjoyed all that was said , I agree our father dose want us to take care our self. Thanks for that I will ask him to help me to do that. Again thank you and keep up what you are doing, love you because our dad are the same. Thank you for sharing. This encouraged/lifted my spirit this morning. Was able to get moving and accomplish a few things! Wow, how God does this. I have been thinking about this topic for some time now. I had this thing to where I embraced my being different from everyone else. 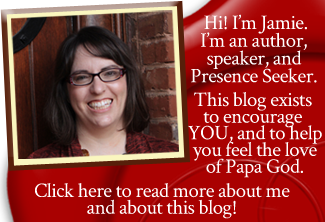 Like you shared, Papa wants us to care for ourselves. I can still be different but just care about me, like Papa shows me. I want Holy Spirit to shine through me in every aspect. I’m the opposite of some people. I was never without make up even working from home and see only a few people. In 2012, it got different, as my health failed. I felt like giving up. But I didn’t, I put on the make up, kept my hair colored, even when I could barely make it through the day. It’s just true as women and not sinful pride, that if you look better you feel better. Even brushing your teeth in the afternoon helps. I have seen it happen to people, so please, if you are reading this, pay someone a compliment, take them to get a haircut. Even if they are ill, women need encouragement, nail polish. If you ever get into so much pain and depression to the point of not bathing or sleeping, you’re opening the door for the enemy. Thank you Jaime, I needed this today, Excellent topic. And once in a while, I ‘m typing in my sleep shirt, that’s okay too. Today I started “Supernatual Ways of Royalty” bible study with some of my ladies in jail; as I was putting on my makeup listening to King of My Heart BEFORE GOING TO JAIL THIS MORNING, the Lord spoke to me about my lack of “loving myself”- if I can’t love myself, how in the world do I love my neighbor? Timely word. Holy Spirit is moving with great fervor in me like never before…..Amen and Amen!! Love and appreciate YOU!! I try to focus more on exercise and eating right and bible studies. That is mainly how I prefer to take care of myself. Plus, I try to do some nice things once in a while just for me (like getting myself the horse I always wanted). It may sound silly, I know, but I thank the LORD everyday for allowing me to live the life style that he has. Great reminder… THANK YOU for sharing!